In 1999 Scott Martin and Mike Adams started drunkdude69 with the goal of combining their interests in different musical styles (rock, reggae, ska, punk and funk) into a balanced and nutritious audio cocktail. Musical collaborators from an early age, Martin and Adams had previously written and performed in and around northeast Ohio. DD69 represents the evolution of their musical collaboration over two decades, across multiple cities and through numerous other bands. The music has drawn comparisons to classic artists like Stevie Wonder and Frank Zappa, as well as contemporary bands like Sublime and 311. The band (K-Billy – guitars & vocals; Charley Newcomer – drums; Mike – bass & vocals; Scott – guitars, bass, keys & vocals) frequently collaborates with amazing musicians in Nashville (Jim Evans – drum wizard), Los Angeles (Maurice Adams – guitar stroker), and Cleveland (Joe “Coach” Hanna – drum pummeler, Jeff Beam – bass basher, Jeff Endemann – guitar crusher, Steve Renko – drum destroyer, and Jay Goodman – special sauce vocals). 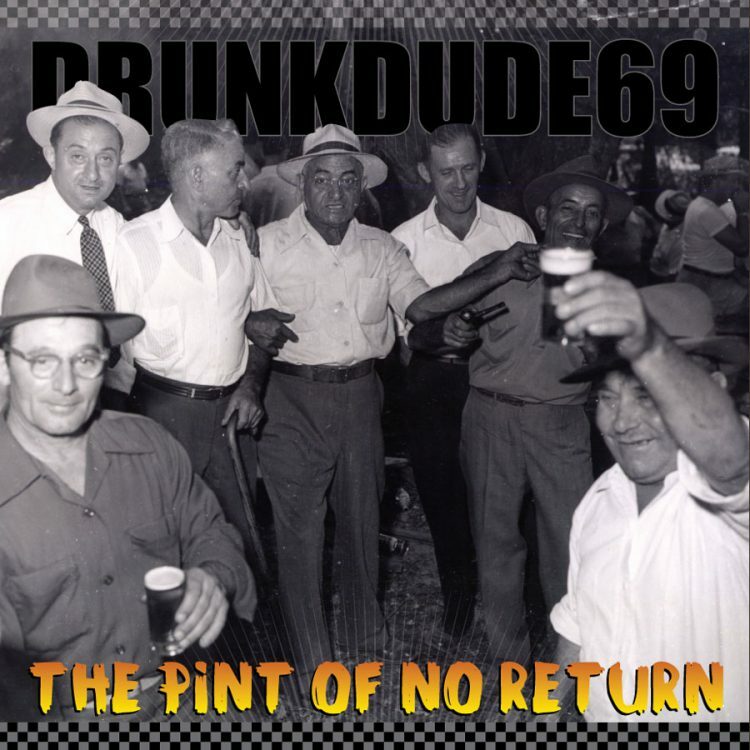 The band’s fifth studio album “The Pint of No Return” was released on 6/9/2015.